Unfortunately the latest beta testing phase has now come to an end for the new Titanfall game which is currently under development by Respawn and will be launching next month. However if you enjoyed your gameplay but didn’t quite have a system powerful enough to be able to play Titanfall with all the settings maxed out, you might be interested in this new video which shows you just that. The video below reveals the details and graphics you can expect to enjoy if you upgrade your system or already have a PC that is capable of playing the games with all the settings maximised. “Up to twelve human players choose their pilot types and are dropped on the map, beginning the game. A timer displays the time until a Titan can be deployed, which is reduced by killing other players. Once deployed, Titans are protected by a forcefield for about 30 seconds, which protects the player-pilot as well. Titanfall release date for the PC and next-generation Microsoft Xbox One games console is March 13th in Europe and on March 11th 2014 in the US. However the Titanfall Xbox 360 release date has now been pushed back two weeks into the end of March. 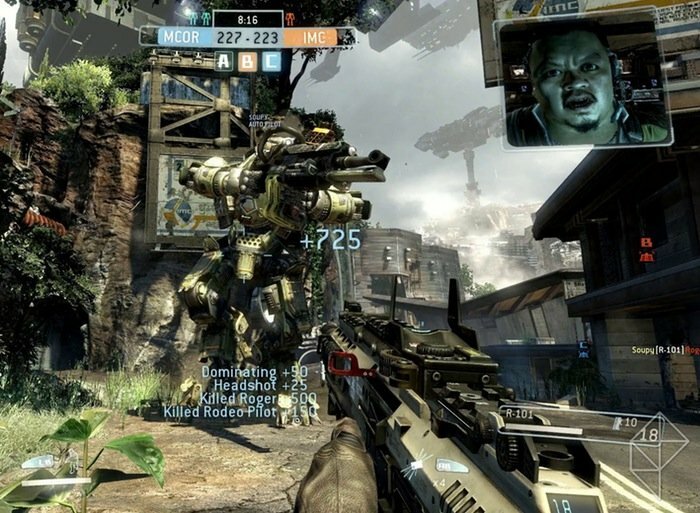 The Titanfall gameplay footage with maxed out settings has been captured by the PC gamer website for you to enjoy.